*All enrollment applications will be reviewed and approved by Harborside school prior to acceptance. Welcome to Sydney! On arrival you are greeted by your guide who has an intimate knowledge of Sydney's back streets, icons, and best-loved sites. With your guide you travel from the airport to your accommodation and receive an orientation on what to expect in Sydney. 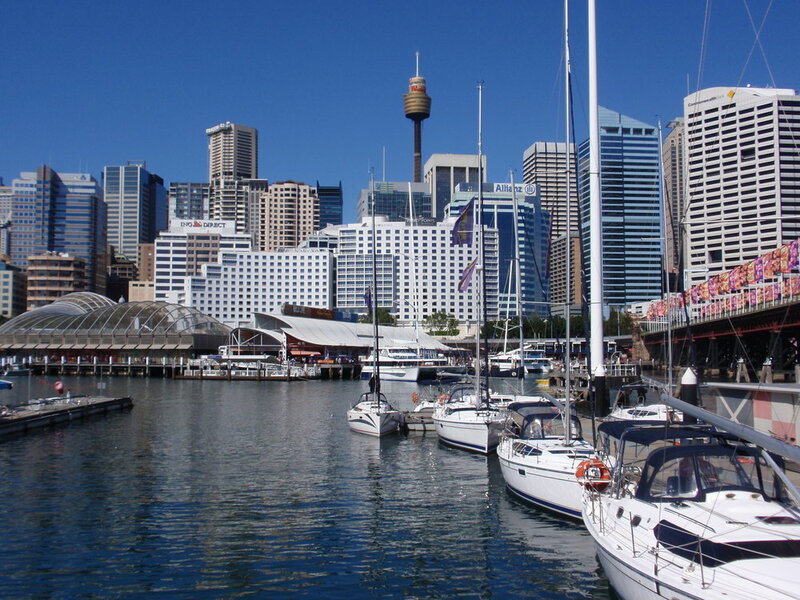 Your hostel is located right in ‘The Rocks’—the historic district where Sydney began. All rooms have en-suites and air conditioning, spacious communal areas, internet, cafe and large rooftop terrace with spectacular views directly to the Sydney Opera House! Sydney Opera House & Royal Botanic Gardens: Later you walk to with your guide to get up close to one of the world’s most recognizable buildings, and an icon of Australia – The Sydney Opera House. Your visit to Australia will not be complete without a photo in front of this majestic building, and a walk in the Royal Botanic Gardens takes you to the perfect lookout. Sydney Harbor Bridge Pylon Lookout: Sydney Harbor Bridge is the city’s second most famous icon, and this afternoon you climb the 200 stairs to the Pylon summit. 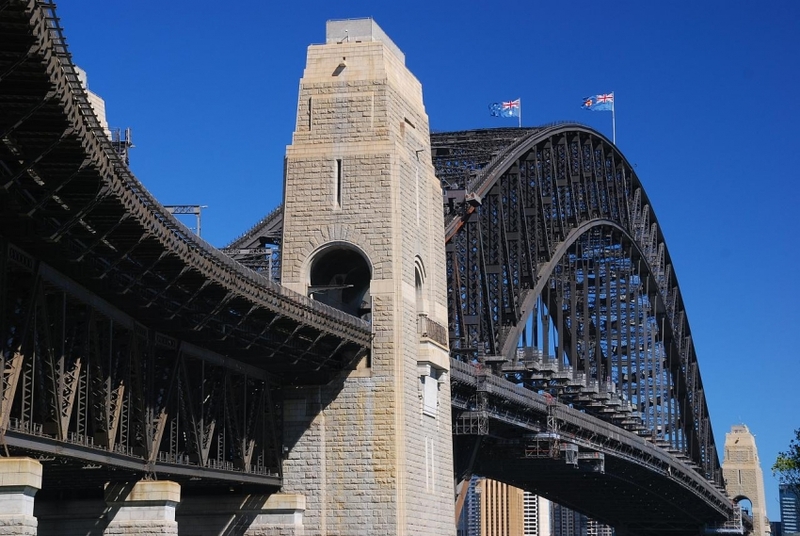 First you are taken through 3 levels of exhibits where you learn the history of the construction of the bridge and the men who designed and built it, finishing at a perch 87 meters above sea level with panoramic views across the Sydney Harbor. In the morning, you will visit the new Barangaroo Reserve on Sydney’s iconic waterfront and participate in a private aboriginal cultural tour. The Barangaroo Reserve features lookouts, 75,000 native Australian trees, extensive walking and cycling trails, idyllic coves, picnic spots and places for quiet contemplation. 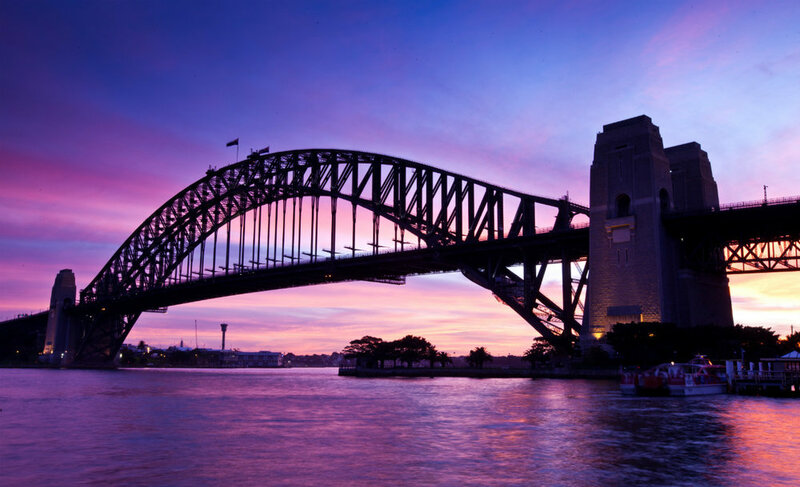 The tour will immerse you in the native history of Sydney Harbour, the importance of the land to Australia’s Aboriginal heritage, and its significance to the clans of the Eora Nation that once lived where Sydney now stands. 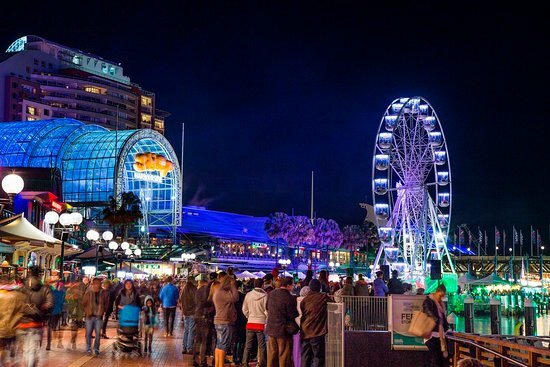 The afternoon will be spent in small groups in downtown Sydney with free time to experience the infamous Darling Harbour, walk along the waterfront and enjoy the trendy fashion and shopping district. A Sydney Scavenger Hunt culminates your day as we prepare for the continued adventure to Cairns in the morning. On arrival in Cairns you will be transferred to your accommodation to unpack and settle in. Rainforest Waterfalls and Swimming Hole: As an introduction to the region, your guide takes you to a secluded freshwater swimming hole hidden in the tropical rainforest. A series of small waterfalls flow into large pools surrounded by boulders, and rainforest trees hang over the water, keeping it cool and refreshing. Damper Making Lesson: For those who are keen, your guide teaches you how to make damper, also known as “Aussie bush bread”. You learn how to create savory bread the way the Aussies have been doing it for years. A yummy treat! Accommodation: Northern Greenhouse. Your accommodation is at a breezy award-winning hostel in the center of Cairns’ restaurant and shopping district, and only a few blocks from the waterfront. Well shaded by tropical trees and plants, the hostel features an outdoor pool, pool table, large kitchen for self-catering meals and free internet and WiFi. Aboriginal Guided Rainforest Walk, Tree Kangaroo Spotting, & Whip Cracking: This morning you travel to a special swathe of rainforest an area important to the Ngadjon Indigenous people. This highland rainforest boasts a rainbow of bird life and mammals, and is one of the best places in the world to spot the elusive tree kangaroo, or mupee. 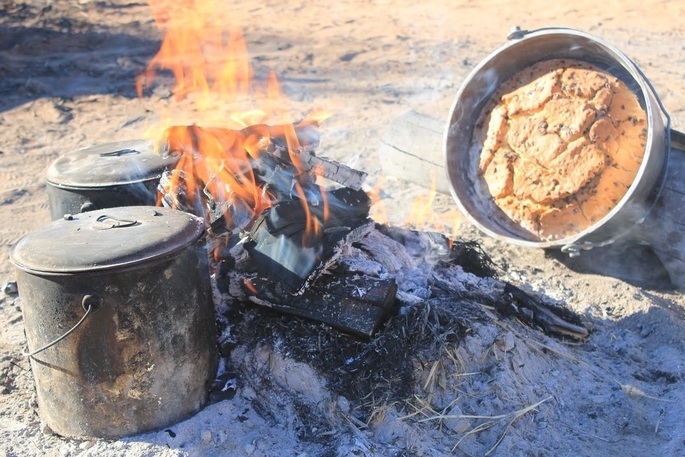 Your local Ngadjon Aboriginal guide takes you into his country, and you listen to the lively stories of his ancestors, discover an explosive volcanic history and learn the regional “bush tucker” (food) that was yummy to eat. Afterwards where the cool fresh waters of the North Johnstone River tumble over basalt lava flows at Malanda Falls, a freshwater pool beckons you for a swim. Outback Cattle Station: Next you cross into classic outback country, where kangaroos roam freely. Here you are welcome guests at a traditional working cattle station and homestead, opened only to your group. You have a tour of the station and a classic Aussie BBQ, followed by a bonfire and stargazing. 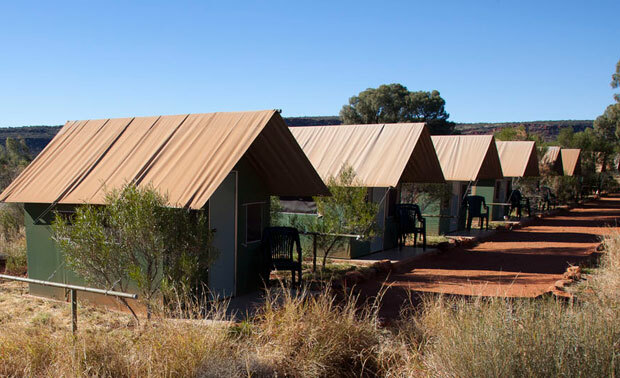 Accommodation: Outback Cattle Station. Your simple dorm-style bunk houses are single-gender and have bunk beds, sleeping bags, and toilets & showers in an outside block. Outback Life: This morning you get a sample of true outback life on a cattle station. You learn how to milk the cows and crack a whip properly in true cowboy style. You also take a walk back through time on the homestead to the age of the early Australian pioneers, and you can touch the old furniture, trinkets and memorabilia all well-preserved by the family. Boomerang Throwing: Yes, they actually come back to you! Your guide teaches you the significance of the boomerang and how they were cleverly used for hunting. You learn proper throwing technique and what makes them return. Millaa Millaa Falls: Millaa Millaa (meaning “plenty of water” in the local Aboriginal language) is the icon of tropical north Queensland and one of the most photographed natural sites in the region. The waterfall flows over pure basalt rock thousands of years old in a dramatic burst. There is a fantastic swimming hole at the base of the falls, and you can climb on the peculiar columnar basalt for a unique perspective of the falls from behind. National Park: Later you enter Wooroonooran National Park—a diverse part of the UNESCO Wet Tropics World Heritage Area which hosts some of the oldest continually surviving rainforest in the world. Josephine Falls: One of the most picturesque places in the entire Wet Tropics! You take an easy walk through the jungle, listening for the call of the king parrot and the bowerbird and emerge at Josephine Falls, where Josephine Creek plunges down a gorgeous set of cascades. Below the falls, boulders surround a fun swimming hole and a natural water slide down a smooth slopingrock face. Marine Biologist Reef Presentation: During this unique presentation taught by a marine biologist, you learn what you are likely to see during your time at the Great Barrier Reef. From colorful corals that take whimsical shapes like broccoli, brains and baskets to a host of fish such as the chocolate-dipped damsel, the Picasso triggerfish and the giant Maori wrasse, you learn how to identify the most common creatures at the reef. You find out about threatened species and coral predators--such as the Crown of Thorns—and the consequences of climate change and human activity on the reef. More importantly, you learn about the real hazards at the reef (like the innocent-looking cone shell) versus the imagined ones (like scary sharks) fueled by Hollywood myths. You leave with a greater understanding of the reef environment and an appreciation of the underwater world you are about to experience. Fitzroy Island, Great Barrier Reef & Turtle Rehabilitation Center: This morning you are ferried to the pristine Fitzroy Island. A fringing coral reef surrounds the island, part of the inner Great Barrier Reef, providing a sheltered home for a kaleidoscope of marine life: colourful corals, parrot and lionfish, turtles, cuttle fish, rays and giant clams. Your marine naturalist gives you some background about island and reef geomorphology before reviewing use of your snorkel gear. Guided Snorkelling: With full use of snorkel gear for the day, you can walk right into the water to explore the magnificent reef system that surrounds the island. Your marine naturalist leads you to underwater examples of biodiversity, parasitism, and commensalism as well as examples of the reef’s most interesting features. CoralWatch Data Collection Service Project: In the afternoon you engage in an activity that addresses concerns over climate change and coral bleaching. During this exercise you find out more about how and why coral bleaches. You learn how to identify different kinds of coral, match its colors to a waterproof chart, and then record what you observe in teams of two. The data then goes back to the University of Queensland’s Coral Watch scientists, where they analyse the results over time and look for any long term trends. Your results also go into a database to track bleaching around the world, and your group receives a graph of your results. Turtle Rehabilitation Center: During your visit you also visit the island’s Turtle Rehabilitation Centre where a collection of volunteers help save sick and injured sea turtles by looking after them until they are ready to be released back into the ocean. 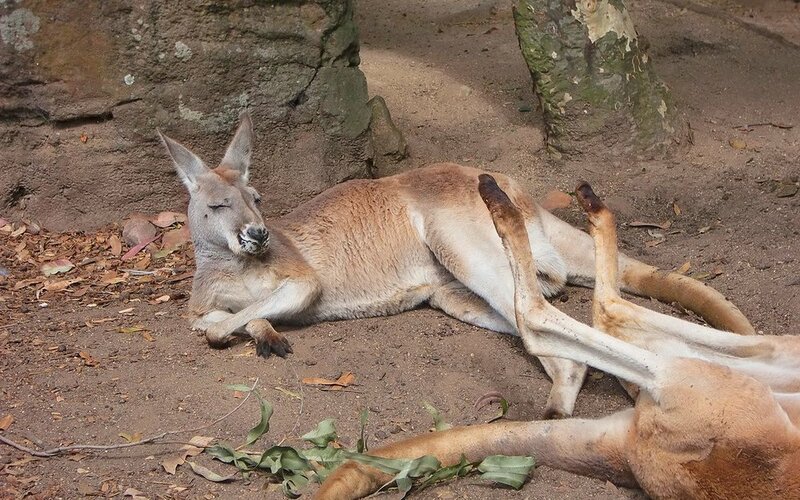 Crocodile Farm & Wildlife Park: Meet crocodiles in their natural habitat as well as a crocodile farm today. This multi-award winning eco adventure attraction is the best place to see crocodiles in Australia. You learn why saltwater crocodiles were almost hunted to extinction, and their importance in ecosystems today. Lagoon boat rides enable safe, guaranteed viewing ofgiant saltwater crocodiles in a natural setting. Hartley’s is famous for its crocodile feeding, snake and wildlife presentations. In the Gondwana Gateway you also meet animals of far north Queensland, like monitors, snakes and the giant endangered cassowary. You and a Koala! If you have always wanted to get a photo with a koala- here’s your chance. 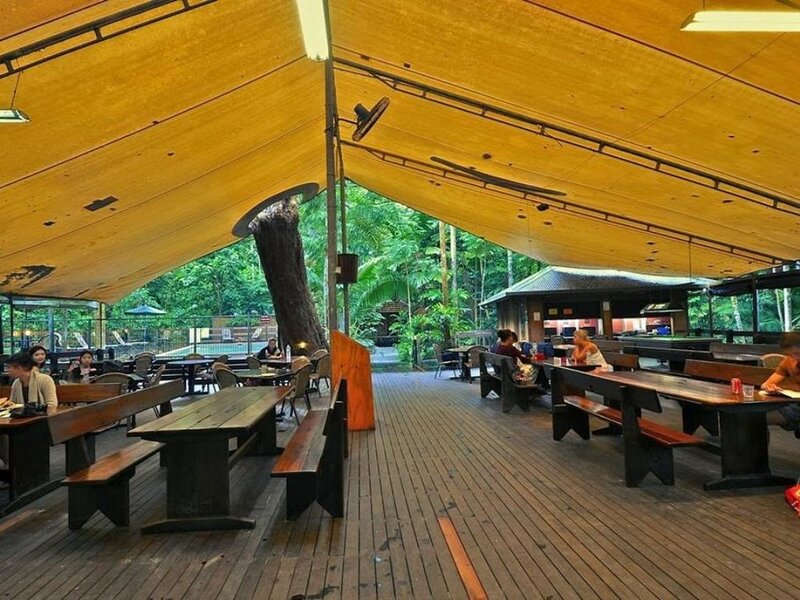 Daintree Rainforest & Beach Eco-Lodge: Later you enter the magical Daintree Rainforest – the oldest continuously growing rainforest on earth. Your Daintree lodge boasts an attractive swimming pool, guest laundry, BBQ area, and a superb location in the rainforest but directly on the beach. As a recipient of a 2016 QLD Excellence in Tourism Award, and Trip Advisor’s Certificate of Excellence 2015, the lodge also uses grey water for irrigation, locally-sourced food for its restaurant, and recycles 80% of its waste. Students sleep in dorm-style cabins with ensuite, and the sounds of the jungle surround you. jungle. 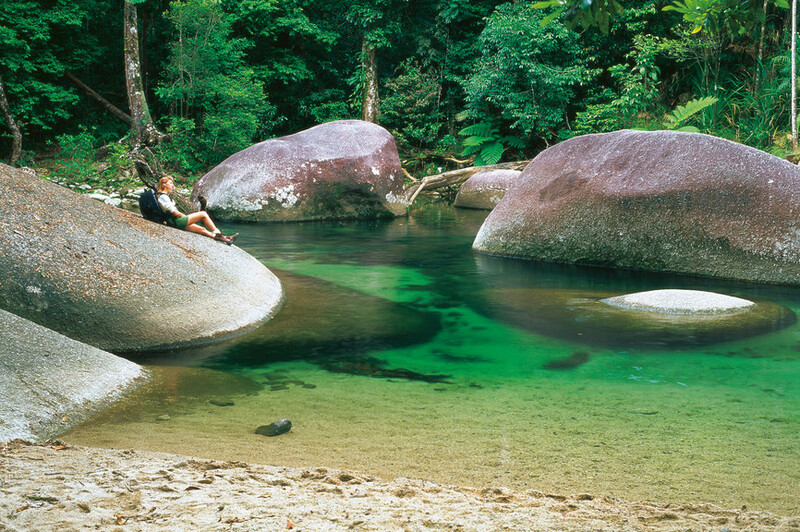 Nearby is a crystal-clear rainforest swimming hole used by locals and a perfect place to cool off. 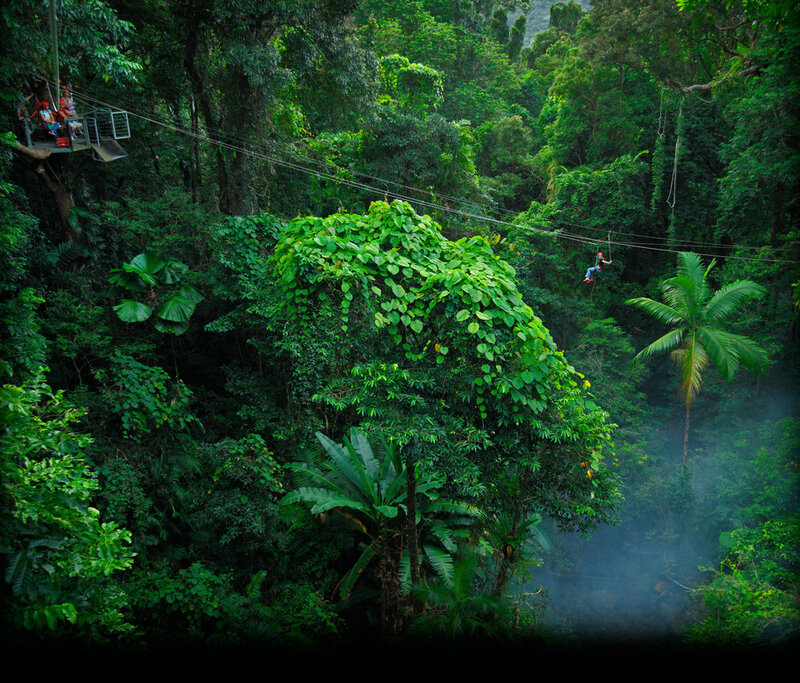 Rainforest Canopy Zip Line: At Cape Tribulation experience the art of "jungle surfing": an exhilarating zip line ride among the tree tops. By clipping into a series of steel cables arranged in the trees, you can fly across the rainforest canopy and get a bird's eye view of the world. This is a great way for students to safely challenge themselves in the care of naturalist guides. “Jungle Surfing”: At the highest point you fly over 22 metres above the valley, and the flight choice is yours – slow, fast, or even upside down. During this unique adventure, you learn more about the rainforest while keeping an eye out for Boyd's Forest dragons and the brilliant blue Ulysses butterfly. Night Markets: Each night when the sun sets, Cairns Night Markets come alive. Featuring over seventy retail outlets, this is the place to find a bargain. Tonight you have time for shopping at the markets. You can find opals, pearls, silver, clothing, massage oils, t-shirts, arts, crafts, Australian food products, toys, and plenty of souvenirs and gifts. After breakfast this morning you have free time for last-minute shopping or souvenir purchases. Optional Urban Challenge: you can choose to spend the morning souvenir shopping, swimming at the lagoon or participating in Urban Challenge! The Urban Challenge is a fun team-building exercise that allows students to learn more about the history, nature, art and culture of Cairns. Small group teams compete against time in this treasure hunt-type activity in Cairns central business district. This is a popular activity for students and the winning team gets a prize! Optional Service Project: Alternatively, you can participate in a service project for the homeless by making special bags for a local charity using upcycled materials (which helps them save money!) You then put it the bags food and hygiene items most needed by those living on the street. 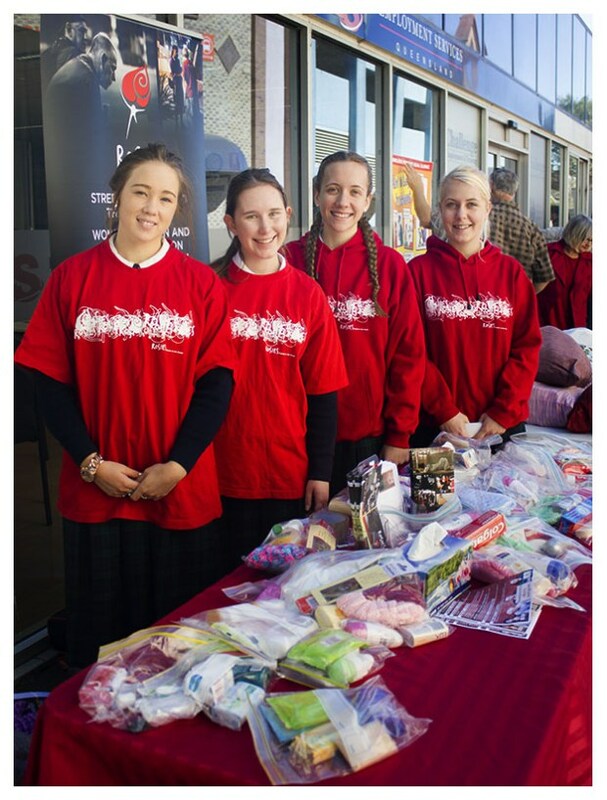 Rosies Friends on The Street is a not-for-profit organisation that will then distribute the packs you make. In addition, a representative from Rosies will speak to you about how members of the Cairns community become homeless, and how your gift will help. No worries if you aren’t the best at arts and crafts – the bags are easy to make, and you’ll feel good doing it too. Then you are transferred to the Cairns airport for your flight home. 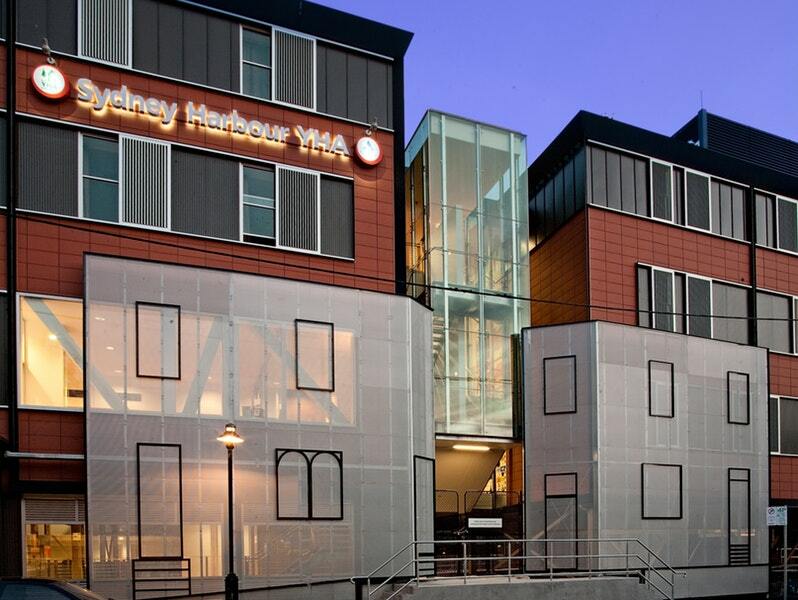 In Sydney you will stay at an award winning hostel in the Rocks district within walking distance to the Sydney Opera House and Sydney Harbor. 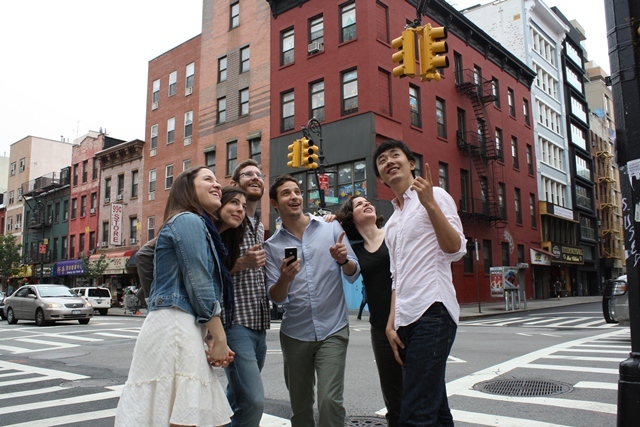 Students will enjoy the rooftop terrace, free wifi, and its location to everything in Sydney. 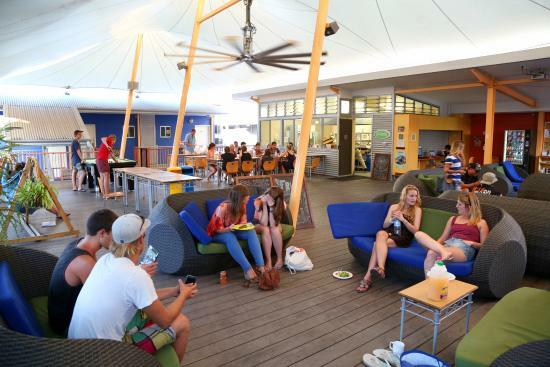 In Cairns, you stay at a breezy award-winning hostel in the center of the restaurant and shopping district. Students like the tropical swimming pool, lounging in the hammock and playing billiards at the free pool table, while group leaders love the private en-suite rooms, air conditioning, laundry facilities and free internet/WiFi. 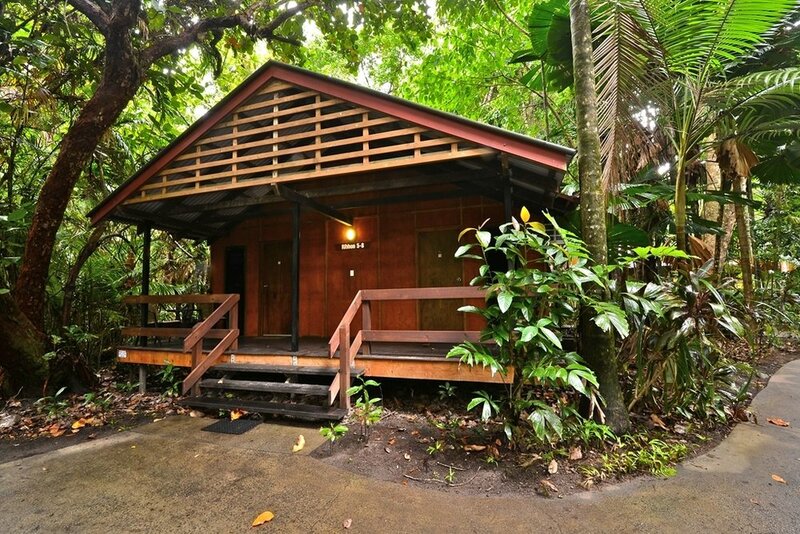 In the Daintree Rainforest, you will stay rainforest cabins where the sights and sounds of the rainforest will soothe you to sleep. You stay in an eco-lodge in the jungle that boasts beachfront property. There is a beachside restaurant and sparkling pool, and rooms have air conditioning and private bathrooms. The visit to the Outback will include a night’s stay at a working cattle station with cabins and bunk beds. What's Included: Program fee covers the following travel costs: lodging, supplies, food, local transportation, educational programs, aboriginal guides, local marine science instructors, service project, airfare, and visas. 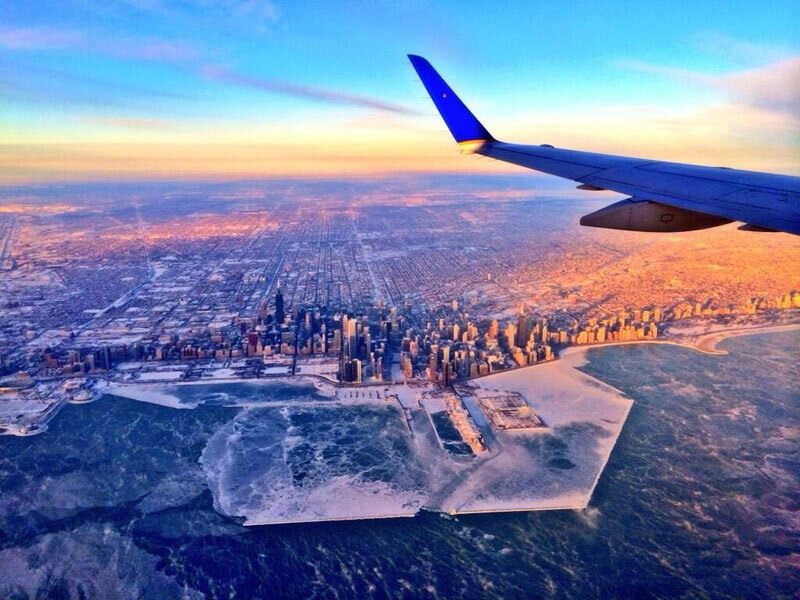 What is not included: souvenirs, passport, travel insurance, travel to Chicago airport. Click here to sign up for Australia! Please sign and submit forms to Jen Herdina at herdina@global-treks.com or mail them to Global Treks and Adventures 1934 Gilmore Ave. Winona, MN 55987.